The AU$1 billion in public investment in the Gold Coast light rail disproportionately benefits residents, landowners and businesses close to the stations. Australia’s federal government doesn’t seem to recognise that promoting economic growth isn’t transport infrastructure’s only major function. Growing the economy – not city planning – has become the government’s main rationale for building urban transport infrastructure. Subsequently, his government’s focus seems to be largely on infrastructure projects – including urban transport infrastructure – “which drive … growth and jobs”. Transport infrastructure is seen as a facilitator of growth and competitiveness in our cities. This is where much of Australia’s economic growth is generated. But, while important, promoting economic growth is not transport’s only major function. Until recently, it was generally accepted that urban transport and land development needed to be planned in an integrated way, having regard to what city future was desired. Transport infrastructure investment would then help to achieve that city future. While city planning was once a “tool for correcting and avoiding market failure”’, it is now much more about promoting economic growth by providing certainty for the development industry and reducing regulation. Under this increasingly dominant view, city planning (by governments) is seen as a generally distorting influence on property markets. Regulation is a “transaction cost”. Instead of an integrated city planning approach, governments are increasingly basing transport investment decisions on cost-benefit analyses. Major urban transport investment is increasingly divorced from achieving broader city planning objectives. This includes equitable access to services and facilities. For example, there is a disconnect between the TransApex major road program and urban planning in southeast Queensland. This program of four major road projects in Brisbane aimed to improve cross-city travel and keep the economy strong. However, TransApex was at odds with the southeast Queensland regional plan’s aim of promoting sustainability and reducing car dependency. Cost-benefit analysis for transport projects involves weighing up the costs (construction and operating costs) and benefits (travel time savings, vehicle operating cost savings, crash cost savings and wider economic benefits). If the dollar value of the benefits exceeds the costs, the project is considered justified. It has recently been suggested that all transport projects where benefits exceed costs by some margin should be built, apparently with little regard to the effects of those projects on city planning. The significant limitations of cost-benefit analyses are well documented. It is particularly troubling that, for transport projects, these analyses rely on a flawed assumption that motorists aim to minimise generalised costs. Cost-benefit analyses also provide limited guidance in deciding which projects advance broader city planning objectives. The social equity effects of transport investment are not usually taken into account. Decisions about transport investments are really about what kind of future city we desire. These are decisions about values as much as they are about economics. American philosopher Michael Sandel is concerned that conversations about the future are largely framed in technocratic (often economic) terms. This leaves public discourse “hollowed out”. The social equity effects of transport investment are not usually taken into account. 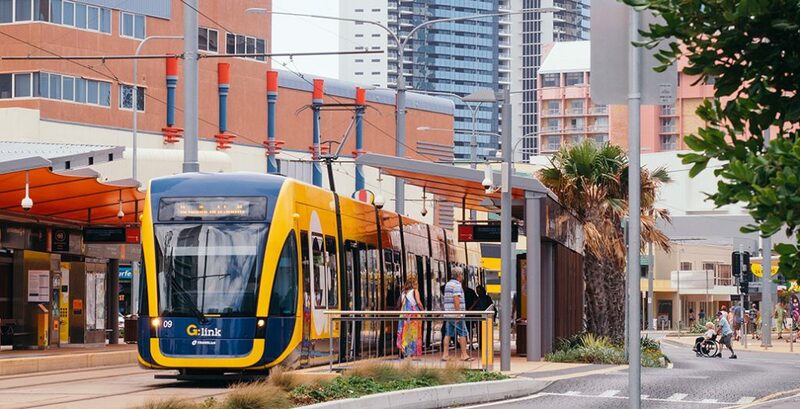 The public investment of about A$1 billion in the Gold Coast light rail disproportionately benefits residents, landowners and businesses close to the stations. Other Gold Coast residents – including many disadvantaged people – have to drive or make do with a relatively low-quality bus service. With cities now urged to market themselves, “flagship” projects like the light rail are valued as means of giving cities an advantage in a world of footloose businesses and investors. These projects are considered important for growing the economy. The Gold Coast light rail is an 18-year public-private partnership (PPP). PPP contracts frequently include “non-compete” clauses (no new competition with the PPP infrastructure). These can constrain future city planning decisions, however desirable they may be. The influence of cost-benefit analysis and PPPs works against an integrated approach to land use and transport planning. The influence of cost-benefit analysis, city marketing and PPPs works against an integrated approach to land use and transport planning. This situation can be described as “splintered” infrastructure development and raises questions about its impacts on the achievement of broader city planning objectives. While individual infrastructure investments with a positive benefit-cost ratio may help grow the economy, the idea that this will trickle down to better social or environmental outcomes for city residents is problematic. It doesn’t have to be like this. One policy proposal for Adelaide offers examples of how transport and land use can be better integrated to support an overall city vision. New transport infrastructure will clearly be needed in Australia’s growing capital cities just to maintain current levels of accessibility. There will be plenty of scope for Turnbull to leave a legacy of transport infrastructure that not only helps grow the economy but also supports integrated city planning. Brian Feeney is an urban planner with specialist knowledge of strategic land use planning, community engagement in urban planning and passenger transport strategies.